Previous post>Today A Warrior Was Born! >Kai,That was really a lovely poem. and as always our thoughts and prayers are with you. Please know that you are loved and if you need anything even if it is just someone you need to just talk to or someone to just listen to you. We are just an email or a phone call away. 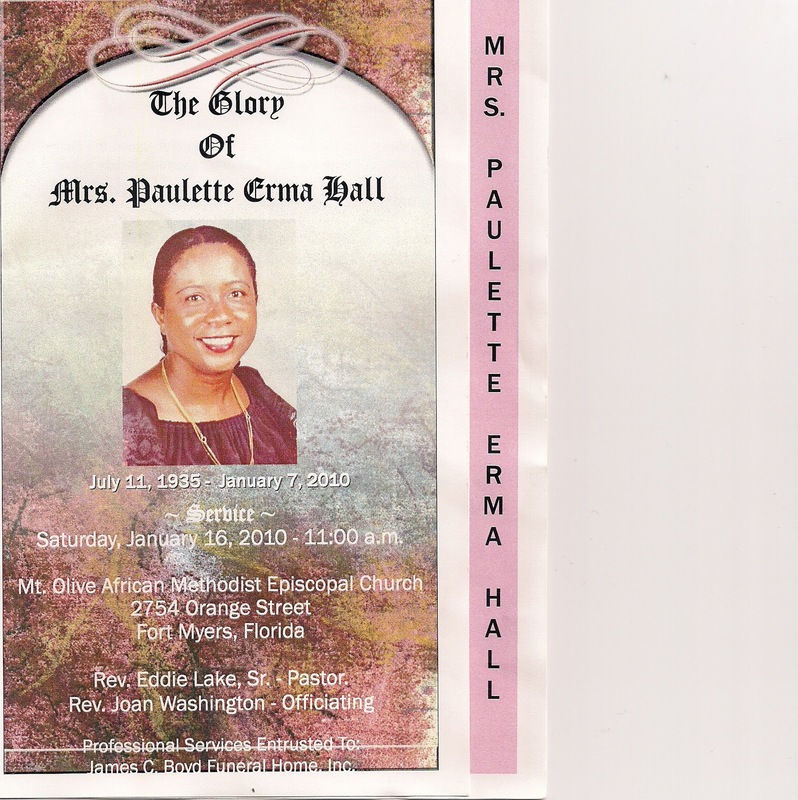 >Kia,The poam was beautiful I don't know if anybody knew Ms Paulette like i did she was like a mom to me and she loved me like I was her daughter. Such a beautiful women inside and out and always dress to impress.Never change was always the same.She will always be truely missed and always have a place in my heart. >Thanks so much Coretta for your kind words! You are most definately right…My Mom did think of you as a Daughter. She had such a love for you that words probably could never express. Thanks again!